We purchased a new Centex home in 2008 in the Garlic Creek subdivision of Buda, Texas. During the first year we had an issue with large temperature variations from the back of the house and the front. Since the master bedroom is in the front of the house this temperature variation was only a problem during very hot or very cold days when we had company. It wasn't until this last summer, a very hot one I might add, that we had to address the problem. After speaking with Centex they stated that we were outside of the 2 year new home warranty and did not offer much help. I called CASA Mechanical who had been out twice before to check the HVAC system and I spoke with Joe Pringle and explained the situation and he was very receptive to our predicament. Mr. Pringle understood that it was hard to recognize that there was still a problem since no one regularly slept or spent much time in the back rooms. Even though we were in fact outside of the new home warranty, Mr. Pringle offered to send a technician out to increase the diameter of the lines leading to these rooms. Since CASA came out we have noticed that there is no longer a temperature variation and the A/C and Heating system is working efficiently. Mr. Pringle and CASA went above and beyond to resolve our problem even though they were not required too. Customer service in my opinion is just as important as any product and it was apparent that CASA feels this way too. I would highly recommend CASA Mechanical to anyone in the future. Two years ago, we added a new master suite onto our home. Our existing HVAC system was fairly old and needed to be upgraded to a larger and more efficient system to serve the entire house. 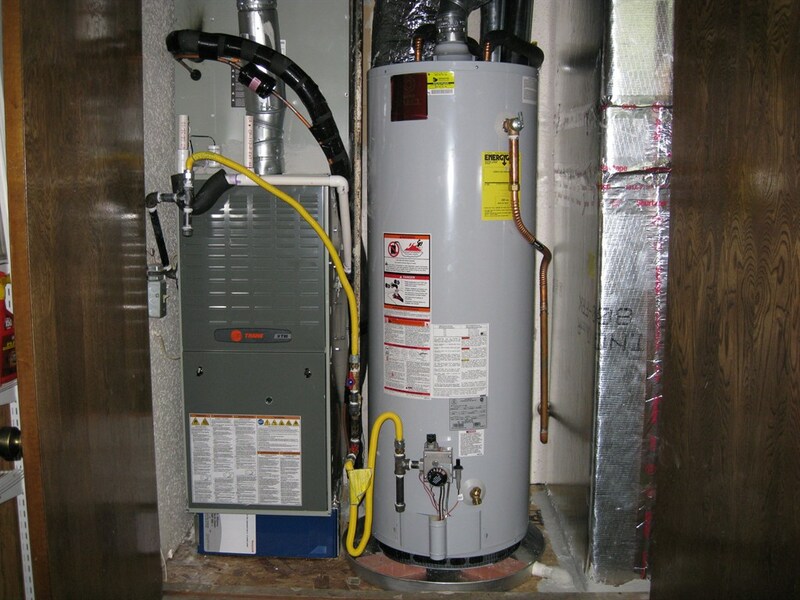 Our contractor selected Casa Mechanical to complete the work, and a new Trane system was installed. Trane is an industry leader, so we were very pleased with the quality of the equipment and equally pleased with the quality installation. We continue to call upon Casa Mechanical for seasonal check-ups and routine maintenance to keep the system working at peak performance, and we are always pleased with the service. The technicians are always courteous, conscientious, and prompt. We would highly recommend Casa Mechanical to anyone considering purchasing a new system, or needing maintenance for an existing system. New HVAC system (A/C, furnace, coils, filter), new water heater (50 gal), and new duct work. Our furnace and water heater are both housed in a closet and the previous owner had gotten shoddy duct work installed that completely blocked access to the water heater. Since we were replacing both the furnace and water heater, we wanted to fix the duct work at the same time. This involved replacing the decking that the units sit on, adding a new water heater drain, moving some original ducts, adding new ducts, and moving the incoming gas line. We couldn't be happier with the entire process. All calls were returned promptly and the entire staff was extremely easy to work with. 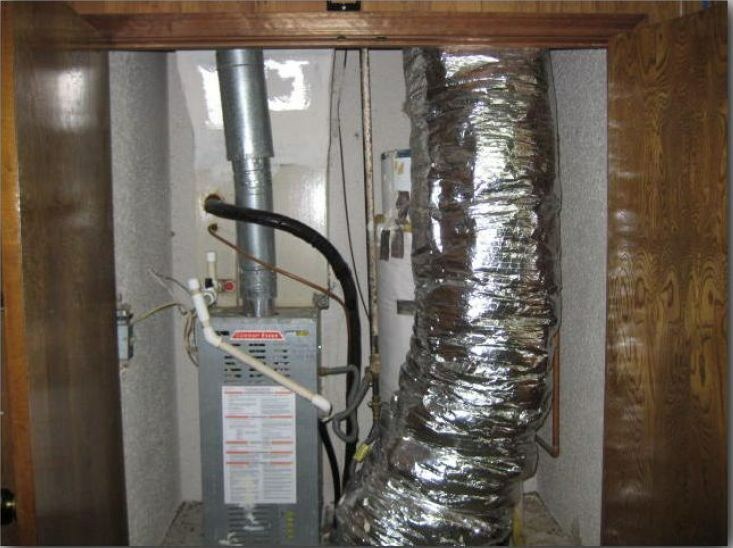 In regards to the duct work mentioned above, they proposed multiple solutions to the problem and even visited the house multiple times prior to providing a quote to determine the best possible solution. They were extremely professional and I was completely confident in their ability to perform the work as stated. After deciding on a solution to the duct work, they were out to install the new units within a week. Every single employee was extremely courteous and professional. The entire job was completed in a day. My heating system was not functioning properly. I had little to no air flow neither upstairs nor downstairs. The unit seemed as if it was running continuously. Bryan came out and checked out the system while my wife was home. He provided a detailed report on his findings and left me a copy. Casa Mechanical is the first of three or four companies to actually know what kind of system I have. Even though my house is twenty one years old Bryan knew who made the control board for system and how it was intended to function. Other companies looked at it and had no clue as to what it was or how it worked. It turns out the part is obsolete and my dampers were shot. Bryan estimated $600.00 to complete the repair which also included installing a bypass damper. After paying the initial inspection (service fee) they returned to finish the repair. I had told them not to bring a new bypass damper because there was already one there. Bryan did not see it due to the fact that it is located on the backside of the system and not easily visible. They replaced the main control board and both dampers and damper motors in a timely fashion. They also sealed all necessary joints and suggested that I wait for a period of time before activating the unit. It turns out that my bypass damper was defective so they had to return again with a new damper. Bottom line is they finished the job for $600.00 on multiple trips. I did have to ultimately replace both the upstairs and downstairs thermostats as they were not compatible with the new control board. Casa Mechanical took care of them at no additional labor cost and reduced the price on the thermostats. My system works beautifully now. Three technicians visited my job site: Bryan, Andrew and Jose (in order of appearance), all professional, extremely informative and very helpful. Thanks guys. Service call to check on a non-functioning AC unit in my commercial office. Made a rapid diagnosis of the issue with my outside unit, fixed it so we could work again, and advised what will need to be replaced. AC unit didn't appear to be working in my office at 2:30PM. They provided a technician who arrived within 30 minutes, diagnosed that my compressor was leaking, made a repair, charged the system and has ordered the replacement coil that is needed for my system, all within an hour. Well worth every penny and I have no idea if this is a comparable cost for what I received, but my employees and I can work for the remainder of the day in comfort. I had air conditioning repair done by Casa Mechanical Services last October. They did a great job and their people know their business so it's not like they are tumbling around to figure out what it is. Usually if you tell them what is wrong, they can trouble shoot pretty quickly. What stood out to me was how quick and responsive they are and how well they know their business. They are very competitive price wise. They put on their little blue booties when they come in the house. Just a quick note of thanks. I just wanted you to know how much I appreciated your follow through on the installation of teh water heaters. From Chris who helped the scheduling to Staco who delivered the heaters in the pouring rain, your team was very professional and got the job done. However, special thanks to your team of Jamie and Hector who performed the installation. They were professional and knowledgable, clearly this was something they had done before and continue to do well. However it was their friendly demeanor and ptient interaction with the customer that I found expecially noteworthy. They never minded a question or two or three and they always had a solid answer. I learned a lot (especially about how important it is and how fortunate you are to have such work done by competent installers.) Your guys are great! They were fast and efficient and kept the area clean. I highly recommend your team and Casa Mechanical. Jerry, lastly thank you for a job that was timely, on budget with the product and service I wanted and no surprise charges. Your team serves as an example for others in the business and it sets you apart. Keep up the great work!